Have you accidentally emptied your Recycle Bin? Have you lost important files from the Recycle Bin? You may delete files from Windows Recycle Bin using Delete or Shift+Delete keys or by using "empty Recycle bin" option. Once the files are deleted from Recycle Bin, you cannot recover them using Restore option. 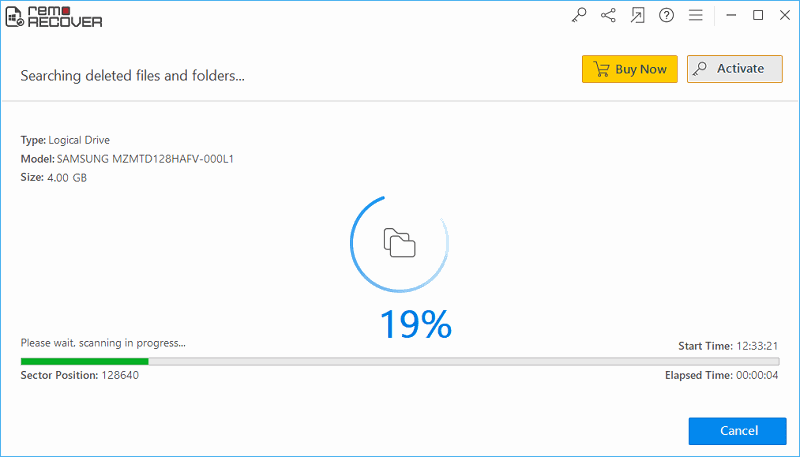 The files bypass the Recycle Bin when they exceed the size of Recycle Bin. The size of Recycle Bin is limited, deleted files bypass the Recycle Bin when it has reached its maximum limit. 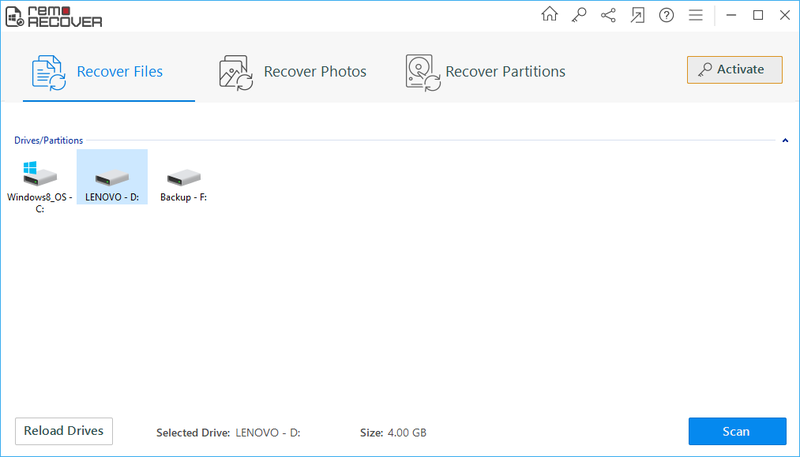 The files deleted from Recycle Bin cannot be recovered by manual backup methods, you need to use third-party recovery tool to retrieve Windows files from Recycle Bin. Windows File Recovery Software is such a data recovery application, which scans the entire drive and recovers files from emptied Recycle Bin efficiently. Recycle Bin is a temporary storage location for the files that have been deleted from the computer hard drive by the user. 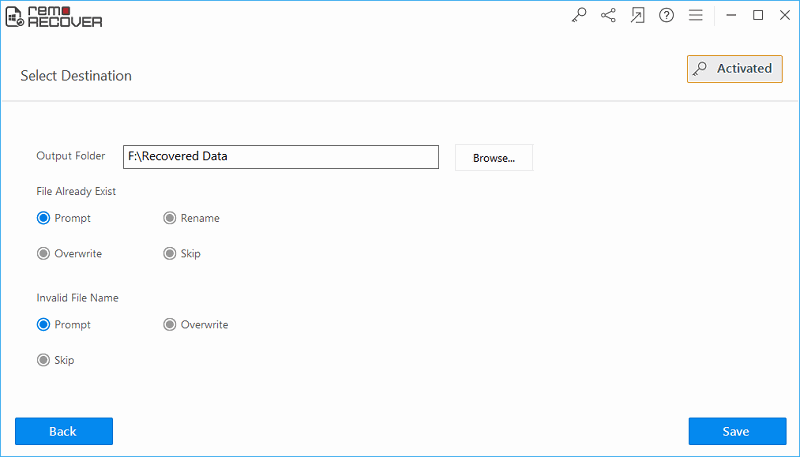 Using ‘Restore’ option the user can easily get back deleted files from Recycle Bin in the same location, where they were stored before deletion. Recycle Bin only stores files deleted from the computer hard drives, not from external removable devices such as USB hard drives or thumb drives, network drives, floppy disks and memory cards. The location of the Recycle Bin on the computer depends on the operating system and the type of file system. In Mac computers Trash folder performs the same function as Recycle Bin in Windows. You can all files from the Recycle Bin by using ‘Empty Recycle Bin’ option. Accidental deletion - You may delete files from Recycle Bin by selecting a file and pressing the delete or shift+delete keys. File bypasses the Recycle Bin - The files that are deleted by using Shift+Delete keys, bypass the Recycle Bin. When the Recycle Bin has reached its maximum size limit and you are deleting any file, it will bypass the Recycle Bin. In some cases, size of the deleted file exceeds the size limit of Recycle Bin; such huge files bypass the Recycle Bin finally that results in data loss. Emptying the Recycle Bin - You may empty the Recycle Bin accidentally using ‘Empty Recycle Bin’ option, which deletes all the files from Recycle Bin and files become inaccessible. Once you realize that you have deleted all files from Windows Recycle Bin, stop using the drive immediately. Avoid downloading or installing any new application or data on your hard drive, as this can result in a permanent data loss. You can easily recover your deleted files from Recycle Bin by using File Recovery Tool. 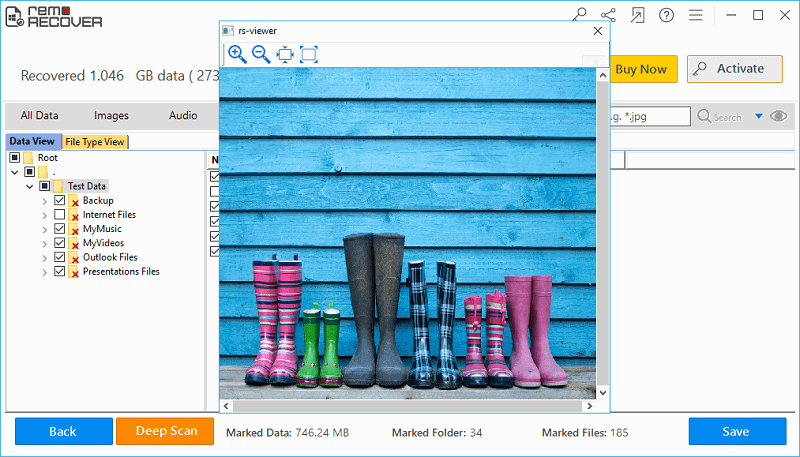 This is an efficient File retrieval application Windows that recover Recycle Bin on Windows 10, 8, 7, Vista and XP. It performs rigorous scanning to recover the deleted files from the Recycle Bin. It supports file restoration from all FAT and NTFS formatted partitions, it can restore files formatted drive. You can sort the recovered data based on name, date, size and file type. You can also view recovered files using the Preview option. Step 1: Launch the software and then select "Recover Files" option. Choose the drive from which the files are been deleted. Click on the Scan button and start the file recovery process. Step 2: The next window will show you the status of scanning the files on the drive. 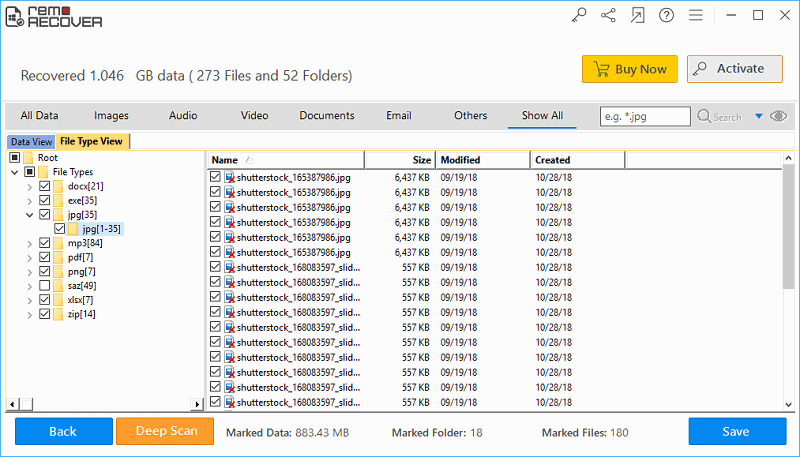 Step 3: Now all the files recovered are presented for a preview in Data View and File Type View. Step 4: You can choose to preview a particular file just by right-clicking on it. Step 5: Start saving the recovered files to a suitable location on your computer.